You’ve met Bloody Mary - she’s a treat. But have you enjoyed the company of Bloody Maria? Or come across a Red Snapper? Encountered a Bloody Pirate? Seen a Bloody Scotsman? The incarnations of the Bloody Mary are almost endless, it can really be whatever you want it to be - we throw anything and everything into ours. The story behind the drink is fairly murky, and the story behind the name is murkier (and darker) still, but one thing is for sure, this Brunch-fave isn’t going anywhere fast. It is widely assumed that the internationally celebrated cocktail was created by a bartender named Fernando ‘Pete’ Petiot who began his career at Harry’s Bar during the early 1920s in Paris. The world-renowned bar was attracting some serious celeb heat, counting Ernest Hemingway, Rita Hayworth & Humphrey Bogart as regulars and we’re sure that he was dishing out Bloody Marys left, right and centre. Petiot’s career was making waves and it wasn’t long before he was poached across the pond to work at the St Regis, quickly becoming one of NY’s most popular bartenders with one of the NY’s most popular drinks. It was here, that a Russian Prince (of course) ordered a Bloody Mary but with a little extra kick. Petiot added Tabasco, and the drink as we know it was born. The origin of the name is a little more unclear, however it is widely assumed that it was named after a past Queen of England, Queen Mary - daughter of Henry VIII, step-daughter of Anne Boleyn and (half) sister of Elizabeth I. A somewhat turbulent ruler, and a staunch Catholic, one of her most memorable acts was to execute a plethora or protestants, earning her the unflattering nickname of Bloody Mary. Where the link with the drink comes in no-one is sure, but the juice is said to represent the blood she spilled and the ‘firewater’ vodka is a nod to her execution method of choice… burning at the stake. I told you it was dark. And the issues that the name connoted indeed caused Petiot problems - when the St Regis was taken over, the new owner objected to its vulgarity, and this coincided with post-prohibition times when vodka was a spare commodity, so a new, much more readily available spirit took over; gin. And so The Red Snapper came to existence. And then, in no particular order, the Bloody Mary family grew and grew, you’ve got The Bloody Maria (made with a tequila, I prefer reposado because of the slight oaky undertones - but blanco is good as well), The Bloody Scotsman (made with Scotch, of course), The Bloody Pirate (made with rum, a spiced rum is delicious but so is gold, white or dark), if you’re in New Orleans, you’ll enjoy a Bloody Bull (where beef bouillon is added) - there’s truly a Bloody for everyone. 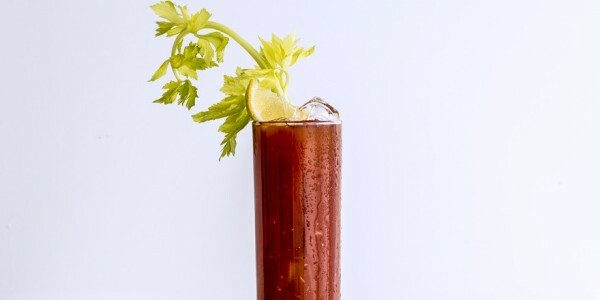 And what’s the beauty of the Bloody Mary? Well, it’s one of a handful of cocktails that is both low and high brow, they drink them in the grubbiest dive bar and at The American Bar at The Savoy, boisterous hen dos drink them and royalty drinks them (The Queen Mother I’ve heard was a particular fan) - they’re the drink to unite a country. It also can be tuned to your tastes, fancy something spicy, no problem, add more tabasco - prefer something a little salty, absolutely, add more salt, fancy more a little more vinegar, add pickle juice, want to enhance the umami - totally, pop in some mushrooms. The Bloody Mary world is your oyster. No literally, put an oyster in yours, it's delicious.